Earlier this week you read Fussypant’s take on Blizzcon’s info dump about Legion, and now it’s Yotaan’s turn to opine! Ahh, now this is interesting. Crafting in Warlords, particularly leather working has been by far the most lackluster experience. I had a lot more fun on all the other previous expacs crafting than in the current one. It will great for Yotaan to make gear that is worthwhile and relevant and that he can actually use! The UI changes are great too but I think the entire UI needs to be updated to modern gaming standards. Nooooooo! Blizz got it wrong! In my eight years of playing an elemental shaman, Yotaan (formerly Yotin) had never, ever, EVER, equipped a fist weapon. A quick search of Wowhead reveals a grand total of 20 fist weapons with intellect, half of them from Warlords. That 20 total in the entire game. 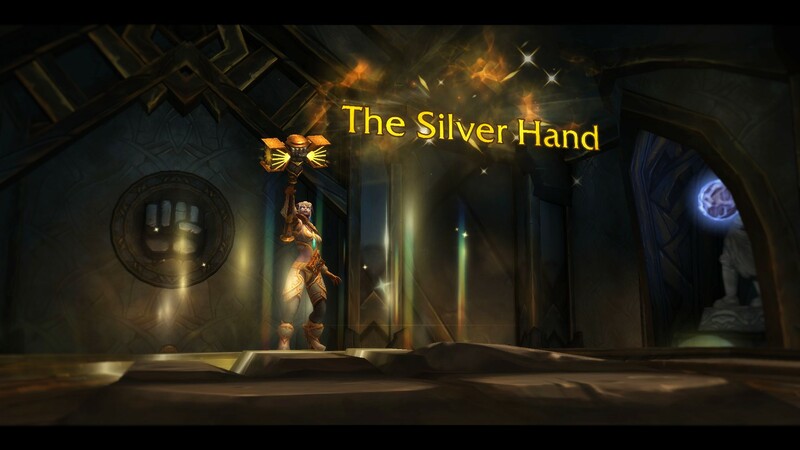 So, naturally, the Artifact weapon for elemental shaman is The Fist of Ra-Den, a pointy hand/claw thing. Huh? Now we knew the enhancement folks got Doomhammer, so that choice was out, but couldn’t the devs find something else? Plus I think a shield and a fist weapon looks dorky…. I hear that there are mixed reviews of some of the other Artifacts, such as shadow priest’s dagger, Xal’athath, Blade of the Black Empire, so maybe I shouldn’t complain. Overall, I am excited about the Artifact system and “leveling” the weapon. I am curious how it will affect PvP (more on that later) and what happens beyond this expansion. This is a great improvement. The game will no longer choose where you level, you get to pick the zone and level away. If the quality of the story in Legion matches Warlords, then this will be the best leveling experience yet. I think it will be more friendly for alts as well, as you can go back to your favorite bits as you level up the next time at any time. The one point that has not been clarified is when you have 2 different level characters in one zone leveling together. Obviously, Fussypants and Yotaan level together and, in the past we needed to be close in level for it to work. Can we be significantly different now, say 101 and 107, and still level in the same zone on the same quest? That would be cool. Fussypants said it all. And, most interestingly, the cinematic was more arresting than the movie trailer. Where was the PvP discussion? Was there any? 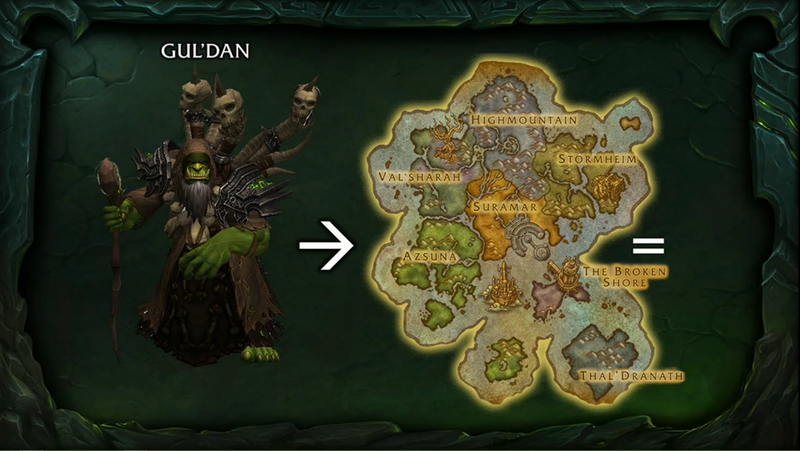 We do know that there not a new battleground and no world PvP zone in Legion. 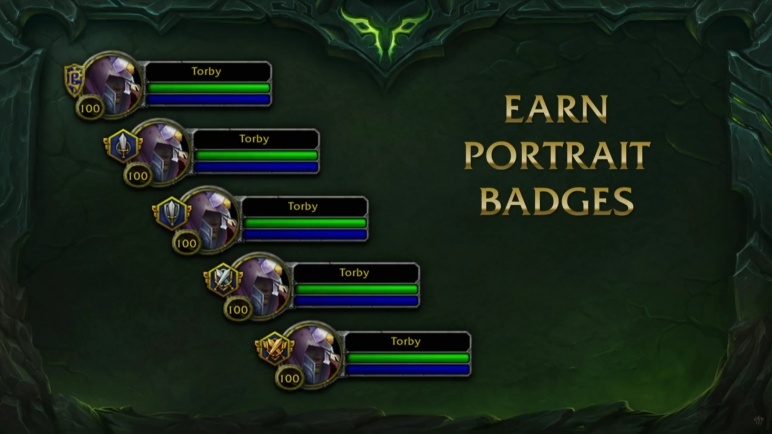 Previously to Blizz, there was some discussion of having separate talents for PvP. The announcement trailer did mention the new honor system. 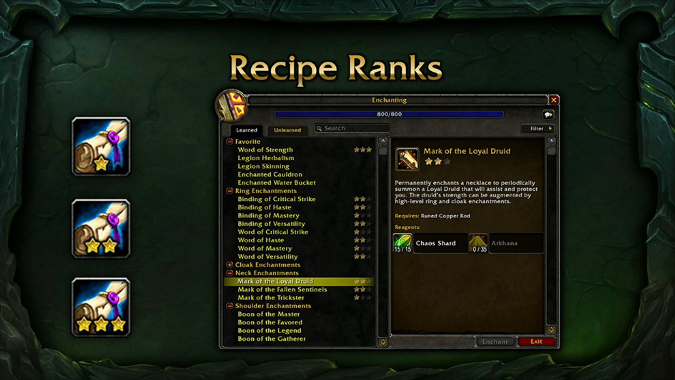 There will be Honor Ranks that can reward prestige items. Gear is less impactful in PvP. There are a few other minor details that I found searching Wowhead but not much more. Hopefully more info comes out during the Beta because these are major changes without much accompanying detail. Once again, Blizz is planning on changing a lot for the upcoming expac. Like Fussypants, I cannot wait and I hope for an early, not late, 2016 release! Blizzcon, and Transmog, and Trailers, Oh My! It’s information overload! I was expecting information for sures (I mean, that’s what Blizzcon is for) but I wasn’t expecting this much! Taking the 5 changes I thought were the biggest, here’s my take of the news from Anaheim! Now with convenient hyperlinks so you know what I am discussing. We are going to talk about this first because this is the most important change to come from Blizzcon. …Alright, maybe not quite number one. But its high up there. I am so super stoked by this announcement, I actually squealed when I heard about it. Transmog has become a very large part of the game for some players (and the reason to keep playing for others) and I am glad that Blizzard has decided to revamp the whole system. Learning the appearances will free up thousands of bag spaces over all my toons. Having transmog sets linked to spec has been something I’ve been asking for for years. And the ability to save sets in game is honestly amazing! I can’t wait for Legion to drop, if only for this! All kidding aside, I am excited by the changes that Blizzard has announced (and I know there will be more). It sounds like they are really pushing to make crafting relevant and interesting again and are not tying it to one specific aspect of the game (cough cough garrisons). The new UI they demo-ed was sorely needed and the “disenchanting” of other professions goods solves the problem of what to do with old profession stuff. This change was badly needed and greatly appreciated! 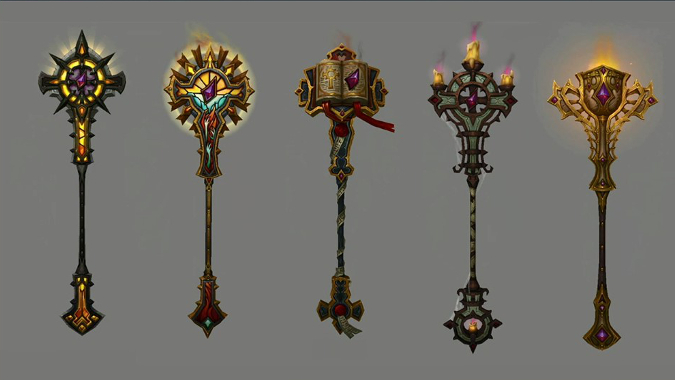 I don’t even play my disc priest that much, but I may start to if only for this awesome looking staff! I…. I have mixed feelings about this. One on hand, I love the idea of having a weapon that you keep with you and get to augment and I really love the idea of a talent tree for the weapons. But on the other hand, I worry that it might become a required and grindy activity after a while. Also, I’m not a huge fan of being locked into one particular weapon type all expansion. Especially considering a certain plate wearing healer I play is going to have to lug a lame book around with her all expansion. I think if artifacts are going to work and stay relevant all expansion, Blizzard will need to make them upgradable through numerous channels so there is a choice on where to grind. 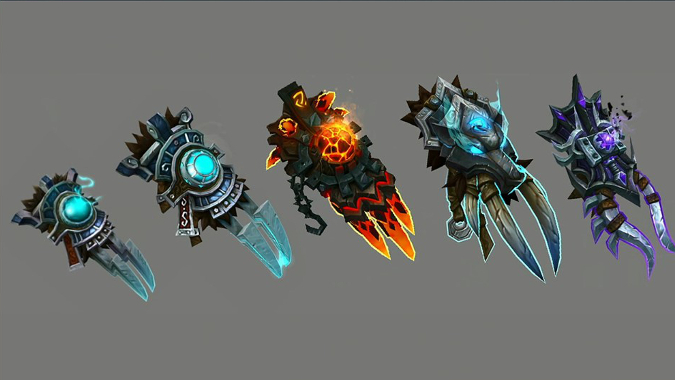 In addition, I vote that we should be able to transmog them into other types of weapons that our class can use. While I love the staff that brewmasters get, I love duel wielding kegs as well. I’m tentatively optimistic about this change as well. If everything really and truly scales then this will allow an amazing amount of leveling freedom. One possible downside I could see is that if we have to unlock the Pillar of Creation on each toon then doing every zone on 3+ alts could get grindy and redundant. 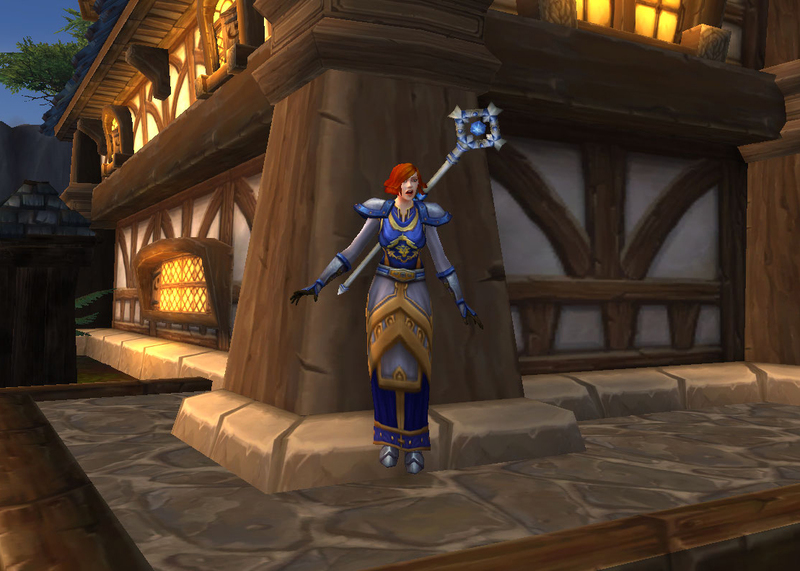 If Blizzard plays it smart, they will allow for alternate ways to get that Pillar than questing so that while you need to go into every zone, you don’t have to do the same things every time. I’m excited to play through this change as well! Fussypants: The very first thing I thought of when the trailer first started up was ‘oh no, this is like the beginning of the Lich King trailer with the My Son business, has something happened to Varian or Anduin? ?’ which then turned in to ‘foreshadowing, foreshadowing, FORESHADOWING’ as the dialogue went on. However as soon as the trailer really got going and the action started I began tuning out Varian’s dialogue. I believe this is the first time we’ve gotten a CGI cinema with Varian and Sylvannas and I’ll be honest, I was drinking up the beautiful rendering of them. Blizzard has once again delivered with a visual masterpiece. At the part where Varian plunged into the water, I will admit I was genuinely worried we were about to lose him right there. All that I could think of was how lame it was that a simple ship sinking took him out for good when he’s been through so much more, and how awesome the Fury Warrior artifacts were going to be. (In hind sight, I probably should have been more concerned about the fate of my supreme leader but I was more considering rolling a warrior to get his swords). I will say, this trailer did not give me quite the chills that previous ones have, but it was still incredibly well done! Fantabulous fuel for the hype train! I already cannot wait for Legion. 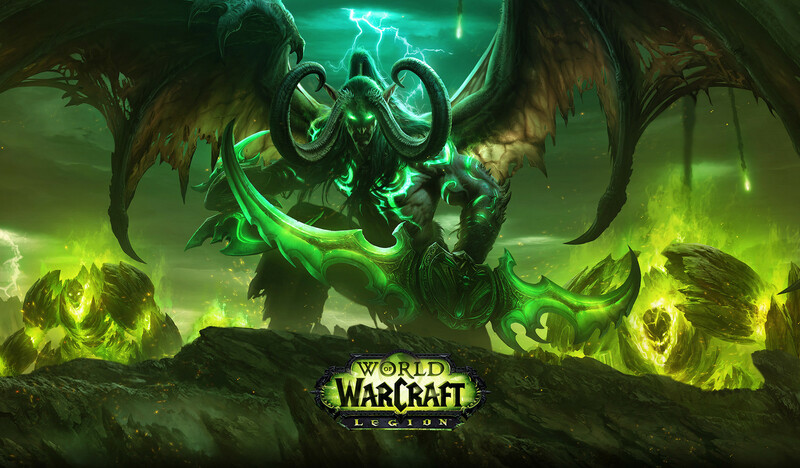 With all the quality of life changes, revamps, and new content promised, Legion is shaping up to be one heck of an expansion! All aboard the hype train! With the impending Blizzcon, Yotaan and Fussypants talk about what they hope will be revealed on that big stage. Yotaan: Blizzcon is next week. NEXT WEEK!!! Someday I would love to take Fussypants out of school and travel there to experience the full glory. Obviously, we are excited about any Wow news but the other games are awesome too. But, it’s hard to get tickets and Anaheim is far, far away. So, let’s speculate on possible Legion news. In the first announcement, a trickle of news about Artifacts came out. More details would be awesome and in particular Yotaan doesn’t care about the weapon. It could be a mace, a dagger, or any 1-handed shaman weapon. The Artifact could be any of those. Assuming that the Artifact for elemental shamans are a weapon, the important bit needs to be the shield! I am hoping for great a variety of shield drops since there will not be any weapon drops. Betcha you didn’t expect that! 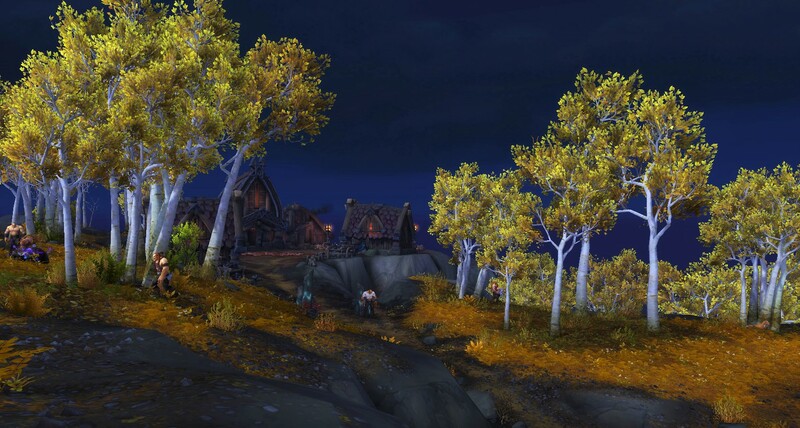 Most agree that one of the best parts of Warlords was the leveling. Both the Alliance and the Horde had great stories and different paths to take. I am hoping Legion is the same because leveling can be so fun. Intricate stories are wonderful to unravel. Having read the novels and many of the short stories, watching the lore unfold during questing has been a particular fave of mine. 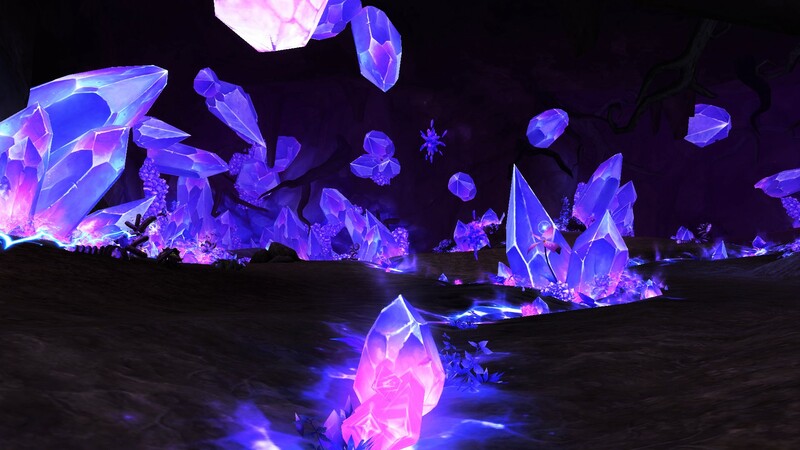 Supposedly the devs have been working on Legion for many months – let’s hope the questing is a big part of that work. Fussypants and I have never played any of the WoW betas. I still don’t plan to play Legion’s, either, but I am hoping for beta news. If the beta is coming out soon(tm) then it means the release is soon too! Given the fact that we have gotten only one patch of significance in Warlords and there is not any plans for major patches for this expansion, I suspect there could be a major introductory patch for Legion. The moose mount is a hint of this. Let’s have a major intro-patch, a la Lich King! If the beta is soon, then the intro-patch is soon too. Moar content please! Fussypants: Someone needs to bring a pair of pants with the words Fussypants written on them in sharpie to Blizzcon. And send me pictures of those pants at the con. Pretty please? But anyways, on to what I hope to hear about! Obviously, I need to know about the Holy Paladin artifact. I won’t go so far as to say I’ll quit Holy Paladin-ing if the artifact isn’t a shield… but it’s on the table (tongue planted firmly in cheek). Honestly though, the suspense of finding that out is killing me! But really I want to see all of the artifacts. I am also very curious which features from the expansion reveal will stay, which will change, which will be gone, and which new ones will appear. I expect there to be more info on demon hunters but I’m curious to see what new there will be. 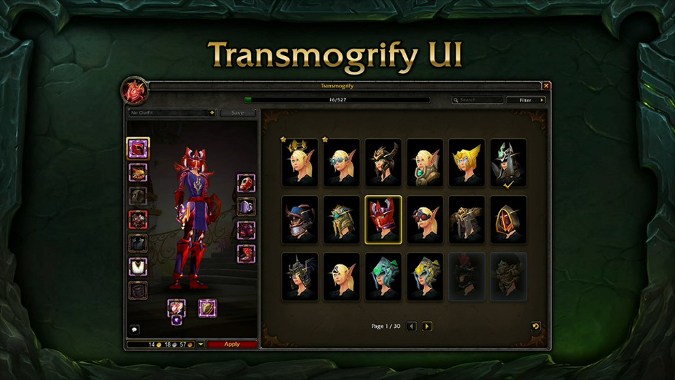 For example the promised updates to the transmog system needs to be revealed. My bank and void storage space is begging for that to be revealed. 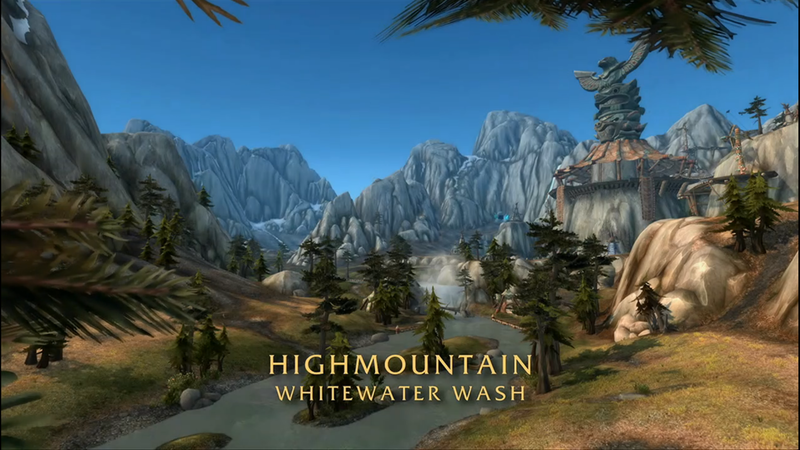 And more info on the class halls would be very welcome (especially from a particularly rowdy faction of rogues…). I’m curious as to what purpose class halls will have and how the artifacts will tie into gameplay. Hopefully Blizzcon will info dump on all of this! Like Yotaan mentioned, I would also like a timeline the beta release. Not because I necessarily want to get in, but a timeline would mean that the expansion is a measurable amount of months away. I want that content as soon as possible! With Warlords, we had the animated Lords of War videos and I would love to see those continued with Legion. They were both beautiful and chockfull of tantalizing lore and I hope that we get another batch of them. Or maybe even two! Those videos were great also because they didn’t require you purchase them (like the novels) since they are freely available on the internet. Keep ‘em coming! On a non-Warcraft note, I do hope there is more info on Overwatch. I sadly haven’t gotten into the beta yet (*checks battlenet page again*) but I would love to hear more info about the characters, the design process and the path that Blizzard wants to take with the game. I don’t think I’m alone when I say that I wish there was a story campaign in the game. Maybe Blizzard will announce one at the con, we just don’t know yet! A girl can dream! Overall, I’m just excited for all the info that will be coming these next couple of days. Go go hype train! So what about you guys? What do you want to see at Blizzcon?